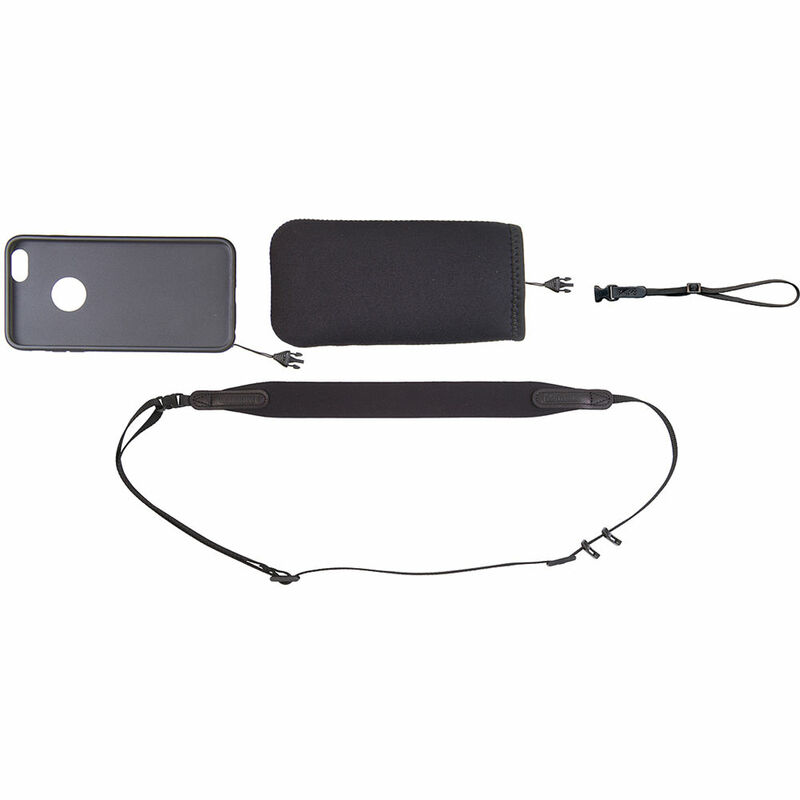 The Smart Sling Cover Kit from Op/Tech USA includes accessories for your iPhone 6 Plus/6s Plus creating an array of hands-free carrying methods. Protect your phone with this shatter-resistant phone case, which securely snaps onto your smartphone. The flexible rubberized plastic case provide a nice grip in your hand while the slim design can fit into your pocket. The case features a quick disconnect buckle for attaching the case to a wrist/belt strap or a sling. The sling's length is adjustable and can be worn over either shoulder. Store your phone in the neoprene sleeve and buckle it to your sling for extra protection. Use the wrist/belt strap for extra protection when holding your phone in your hand or when storing it in your pocket. Box Dimensions (LxWxH) 9.7 x 4.9 x 1.6"